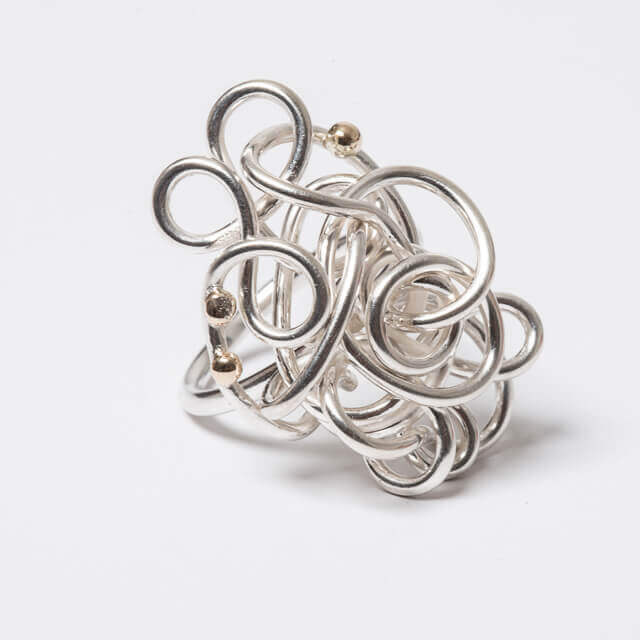 A stunning eye catching cocktail ring which makes a real statement at anytime of the day. 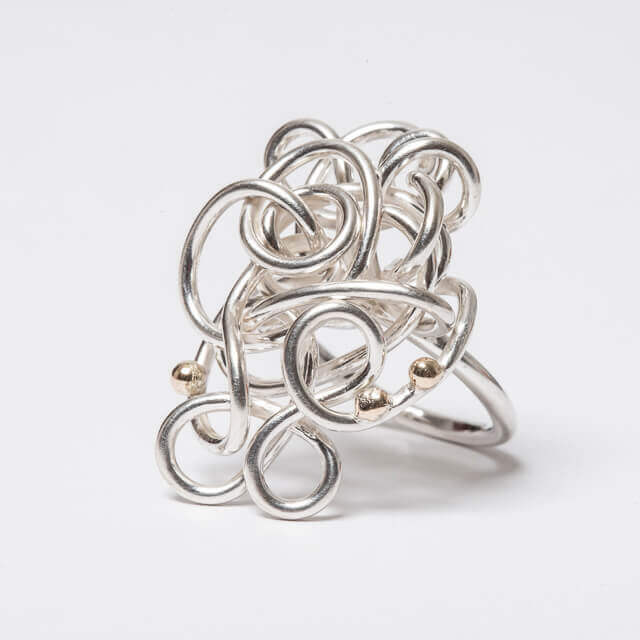 Satin finished silver wire ring with three gold dots. 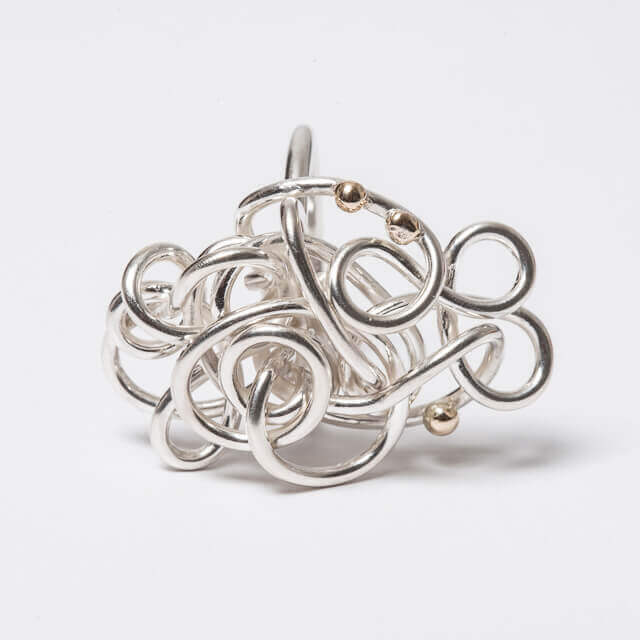 A stunning eye-catching cocktail ring which makes a real statement at any time of the day. 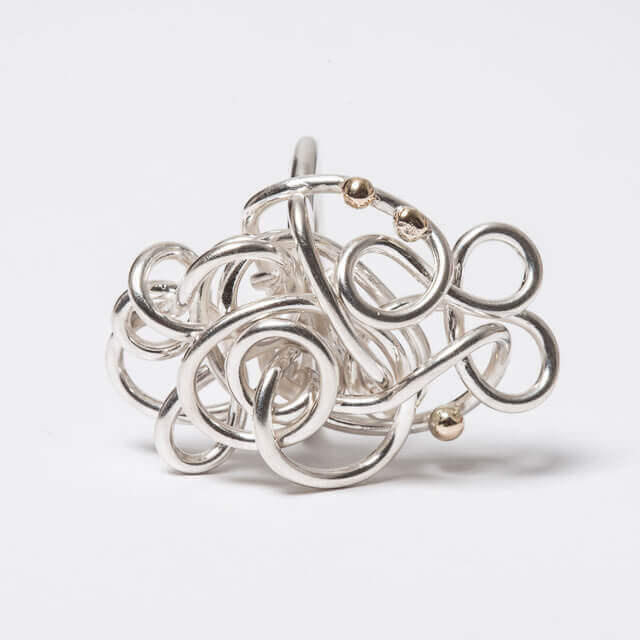 This one of a kind unique ring is part of the Entwined Collection which is inspired by ancient and classical symbolism. 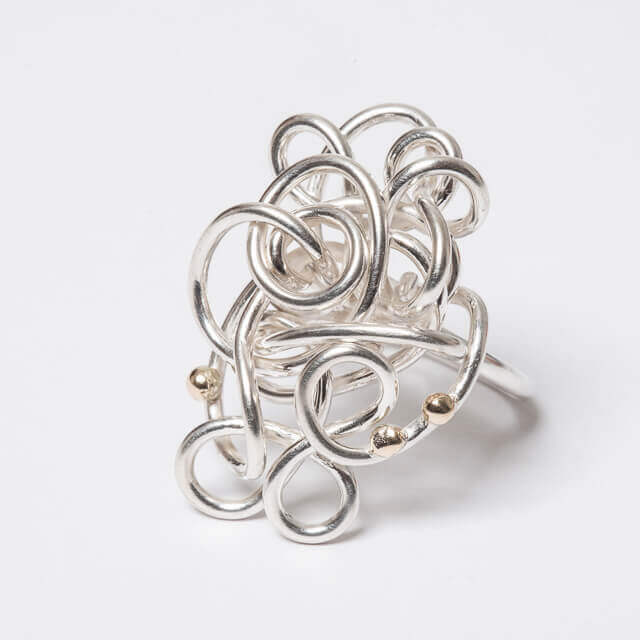 Please select your ring size so this piece can be tailored to suit you!